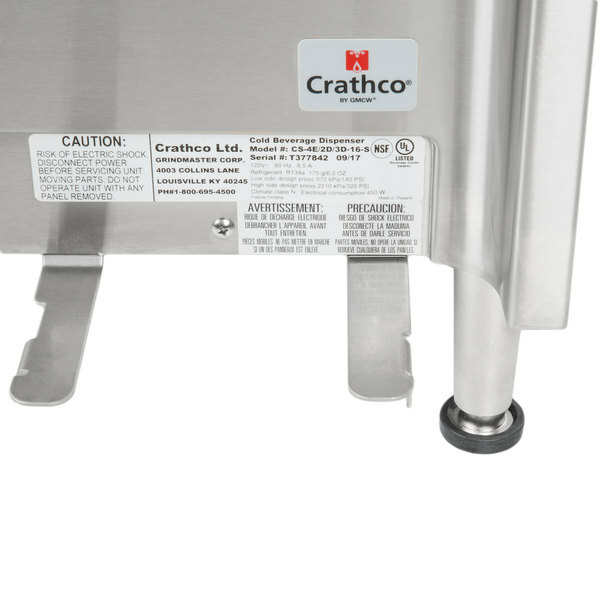 This Crathco CS-3D-16S triple bowl premix cold beverage dispenser is a simple way to boost impulse sales at your snack bar. The clear plastic, easy-to-clean bowls are paired with a stainless steel base for added durability and a polished, professional look. This particular model boasts a spray nozzle within the bowl to keep the mix from settling and attract customers with a dynamic moving product. 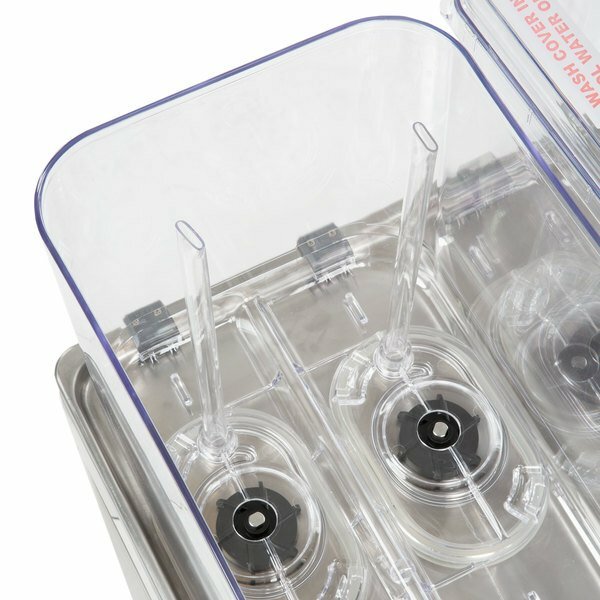 The new easy-off bowl release system decreases time spent during assembly and disassembly, while the user-friendly design enables the machine to dispense liquids until the very last drop. It has 1 large bowl with a 4.75 gallon capacity and 2 smaller bowls with a 2.4 gallon capacity, each. 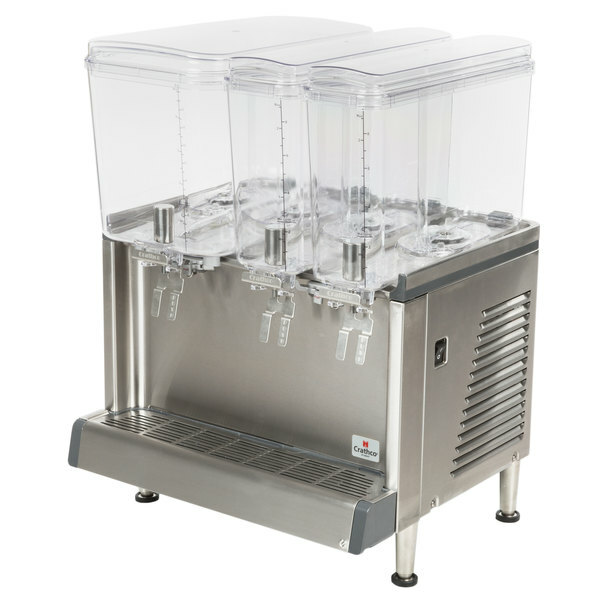 This model features clear plastic bowls and a durable stainless steel base that will stand up to use in fast-paced service environments! 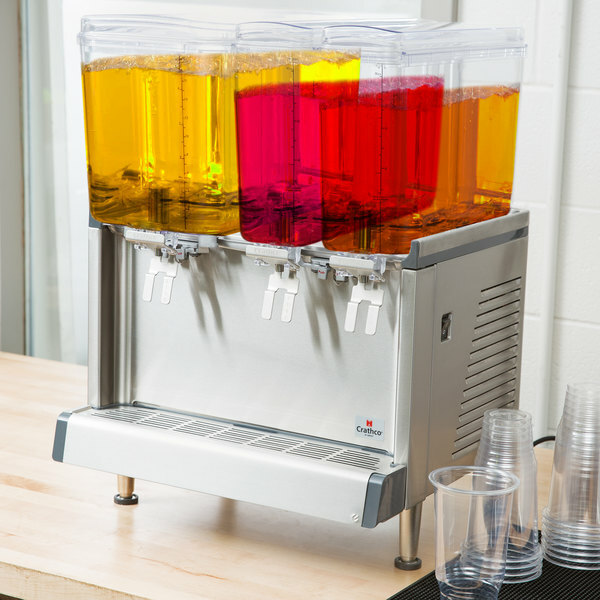 Plus, it will look great on the counter at your snack bar, concession stand, or fast food restaurant. This particular model boasts a spray nozzle within each bowl to keep the mix from settling and attract customers with a dynamic moving product. It's great for lemonades and other drinks that use a mix that may settle if it's not continuously circulated. 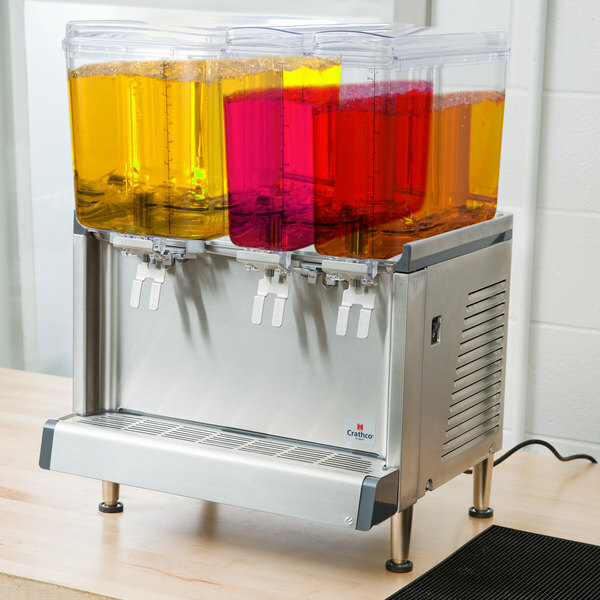 The Simplicity series refrigerated beverage dispensers are easy to clean so that you can be sure cleaning actually gets done when it is needed. 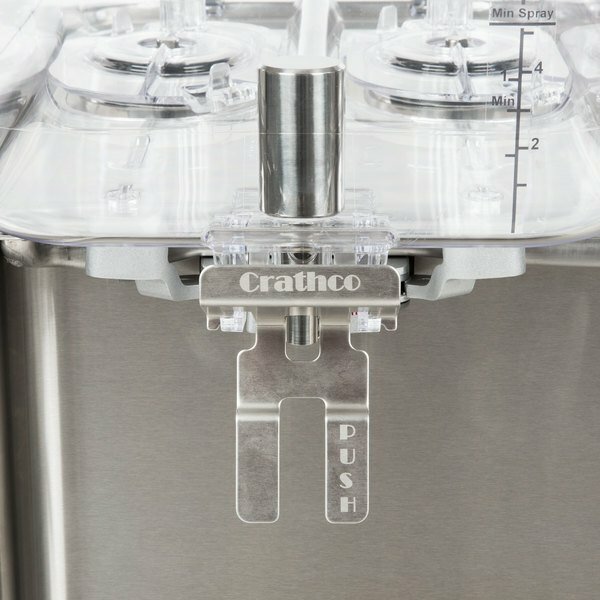 First of all, this unit dispenses product to the very last drop so that you don't have to waste beverages and the bowls are easy to remove. 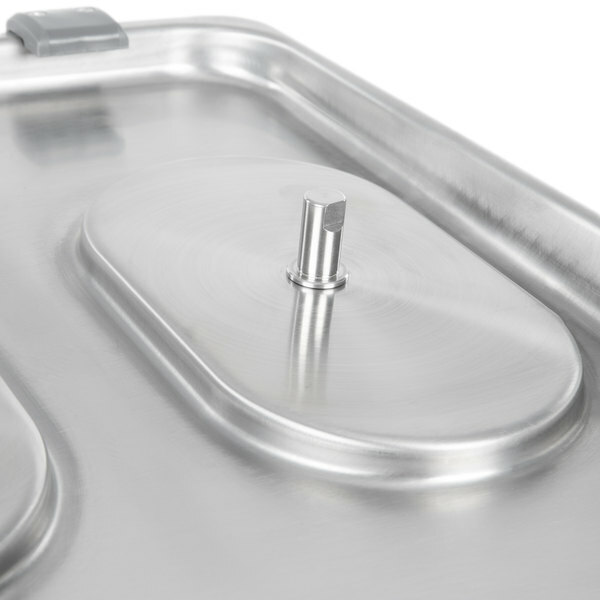 Then, the easy-off bowl system requires just one press of a lever to release each bowl so there is no need to reach inside the bowls for removal. Finally, this unit has fewer removable parts than comparable models so disassembly, cleaning, and reassembly are a snap. 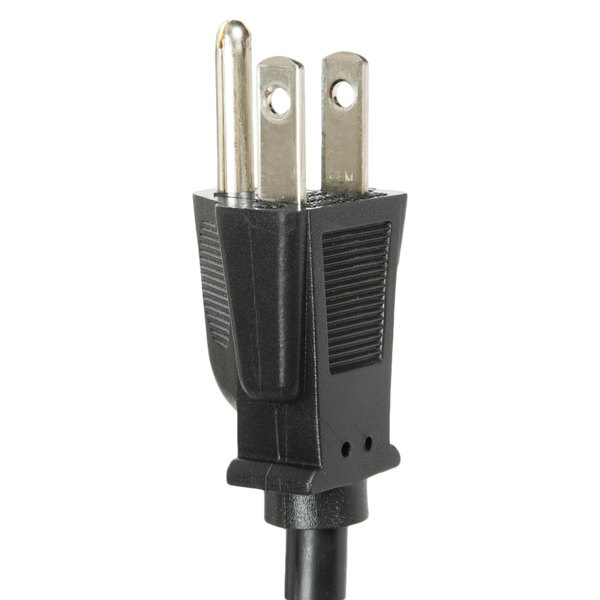 Since this unit has fewer removable parts, it is easier to maintain and will last longer. 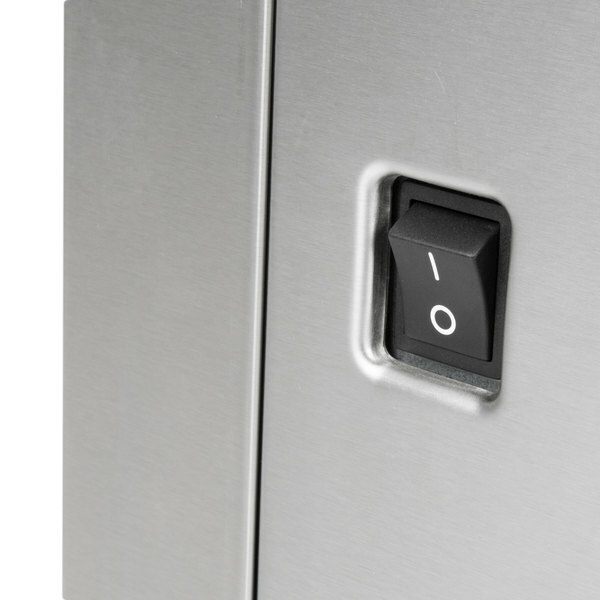 The dispensing levers are easy to remove for cleaning. Taking the levers off won't interfere with the dispensing valves, either. 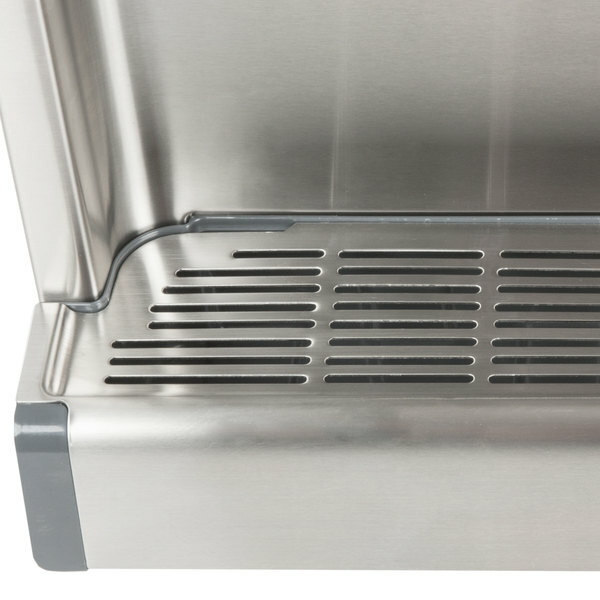 This model comes with a drip tray that collects any stray drops or spills to make sure that your counters and floors stay clean and safe. 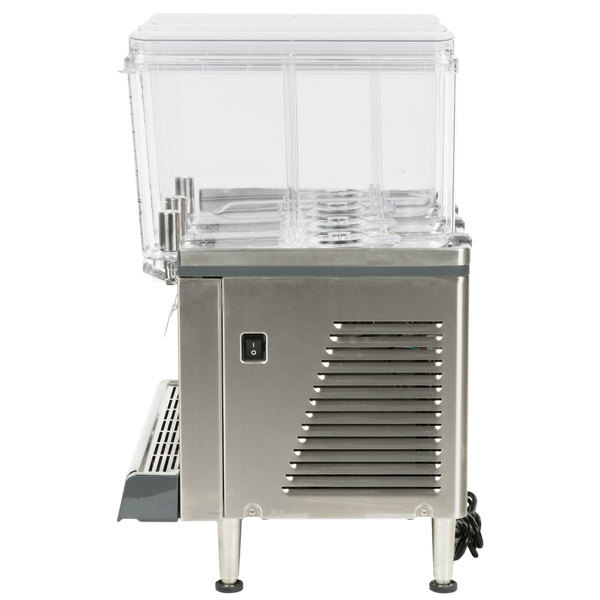 The dispenser requires a 115V electrical connection and includes a 1/10 hp refrigeration system. This unit can also be placed side by side with other appliances due to a bottom-mounted air intake and exhaust to the back. 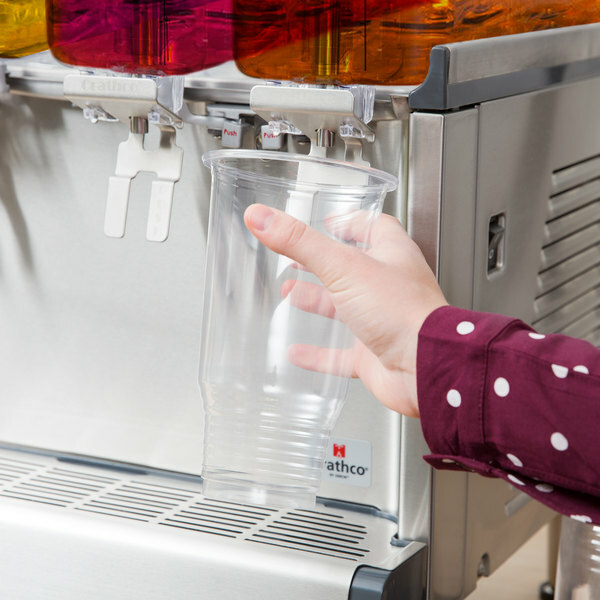 This refrigerated beverage dispenser has a versatile 9" cup clearance. 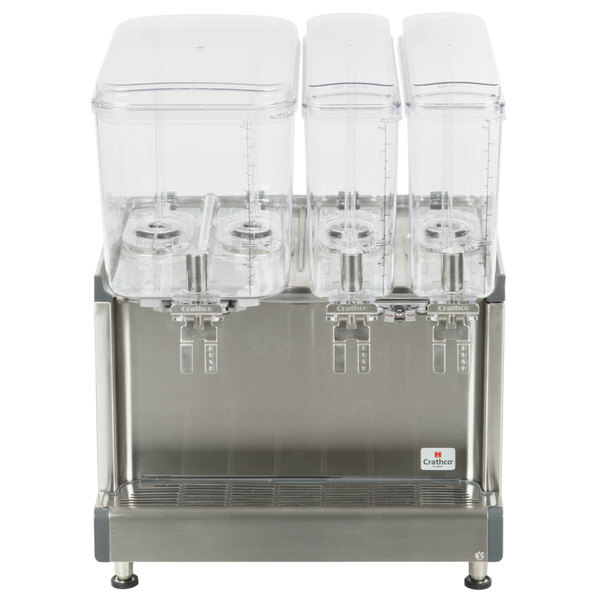 It can accommodate cups of nearly any size so that your staff can easily provide customers all the refreshing beverages they desire.